I have often wondered what Bethlehem was like a month after the birth of Jesus. I am sure the magnificence of the night of the Messiah’s birth had begun to wan. The shepherds had settled into their boring routine of “sheep watching”. The same field that had been the stage for an angel choir was now dark and cold and guarded by men huddled around a small fire, each questioning what he had really seen. The innkeeper had completely forgotten the desperate young couple that had spent the night in the barn. 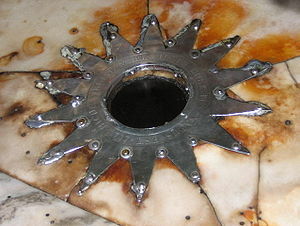 The manger that was the cradle of the King of Kings was now once again a feeding trough for cows. Now that Caesar’s census was over, Bethlehem was once again a sleepy, country town. Even though Bethlehem no longer considered the birth of the baby, now one month old, as significant, the world was forever changed that night. Nothing would ever be the same again, because in their town, God came to this world to finish His marvelous plan to redeem the world. Beginning that night, God was here to show us how much He loves us and how we ought to love each other. He was here to show us how to serve unselfishly, forgive unconditionally, pray honestly, live abundantly, and die victoriously. In the season of Advent, we join a continuous line of Christians who have celebrated for 2000 years the one who was born in poverty, lived sinlessly, died on a cross, and rose from the dead. Jesus bought us a place in the Kingdom of God – here and now, and eternally in heaven. He opened wide the doors of Kingdom living in today’s world. He offers peace beyond our circumstances, hope beyond our dreams, joy beyond our expressions, wisdom beyond our understanding, and accomplishments beyond our abilities. History was eternally changed that night 2000 years ago in a smelly barn in the dusty, country town of Bethlehem. We date our calendar by the birth of Jesus. He changed our approach to God, our worship, how we pray, and how we relate to each other. The Christ Child brought grace greater than all the sins of the world – a world forever changed. Reflection – What has changed in your life because of Christ?